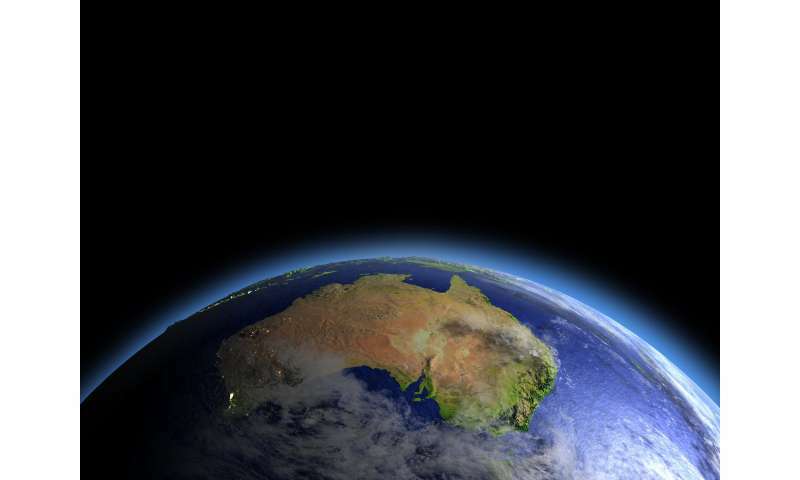 Details of Australia's new space agency were released on Monday with the federal government's response to the Report on the Review of Australia's Space Industry Capability. The Minister for Jobs and Innovation, Senator Michaelia Cash, also announced the appointment of Dr. Megan Clark AC as the interim head of the agency. Clark, a former head of the CSIRO, was chair of the Expert Review Group that led to the report on the nation's space industry capability, so she is well placed to deliver on the recommendations that her own panel made. First, let's talk about money. Last week's federal budget set aside A$41 million for the agency. That's A$25 million for the agency itself and A$16 million for a space investment fund. This is well towards the bottom end of expectations and there will be limits to what can be achieved with that level of funding. But we have already seen that this sector can be very productive. The Australian Space Research Program (ASRP), which ran from 2010 to 2013, was funded at A$40 million and produced a huge amount of good work such as making the huge Landsat satellite imagery archive more available for users, and testing a scramjet launcher. Critically, though, that scheme did not put any assets in space, although subsequent work did. The project I ran, for instance, developed a space-ready GPS receiver, which now flies on four differently configured cubesats in orbit. Another example is the start-up Myriota, which spun out of another ASRP project developing "Internet of Things" applications in space. What can also not be ignored in the federal budget is the A$260 million for a space-based augmentation system (SBAS) to improve satellite navigation and geospatial technologies. This dwarfs the direct funding given to the space agency, but may present a good model for how to progress Australian space assets in future. The agency identifies need and solution, does some feasibility work, and facilitates the development. But the bulk of the funding is recognised for what it really is: critical national infrastructure and is funded accordingly. What happens next should be an open and transparent bidding process, leading to an Australian system consistent with international standards, and bringing new capabilities. Engage closely with industry (supported). For an electorate conditioned to expect governments to ignore recommendations from experts, this is an impressive amount of support, and bodes well for the space agency's future. The language of the announcement is enthusiastic: "A$300 million investment in space industry and technology", "fantastic opportunity to triple the size of our domestic space industry", "potential to create 20,000 jobs". It is instructive to reflect on how we got to this point from where we were ten years ago. In 2008 the Australian Senate Standing Committee on Economics produced a report called Lost in Space—Setting a new direction for Australia's space science and industry sector, in which it clearly and unambiguously called for the establishment of a space agency. The following year the Rudd government launched the Australian Space Research Program, funded at A$40 million, which delivered many good outcomes, as mentioned above. This momentum was then stopped with the release in 2013 of the Satellite Utilisation Policy, which stated: "(…) the Australian Government does not see an Australian satellite manufacturing or launch capability as an essential element of its approach to assured access to critical space-enabled services." The anti-agency lobby, mostly based in Canberra, had intervened, and the agency idea was effectively dead. It was in that hostile environment in 2013 that I first laid out my case for the agency. Slowly, over the years, others such as the Space Industry Association of Australia, also came to make an argument. Unable to resist the growth of space activity, the government set up the Expert Review Panel – chaired by Clark – whose report was released on Monday. But the space agency was announced last year at the International Astronautical Congress in Adelaide. From a position where government policy was actively to discourage effort in satellites and launch five years ago, we now have support for a recommendation that: "(…) the Agency facilitates regulatory approval processes for small satellite launch facilities in Australia and the launch of Australian satellites overseas." This is a huge turn-around. Call it irony, call it the real world, but now some of those in Canberra who so forcefully resisted the agency, making misery for us advocates, are now saying that it must have its main presence in Canberra. Similarly, South Australia is lobbying strongly to host it. When I have pointed to the New South Wales submission to the Expert Review Panel, and the 17 ways in which NSW dominates the space sector in Australia (listed in the comments section here), I am not saying the agency must be in NSW – I'm saying that there is no case to favour either SA or the ACT. The Shadow Minister for Innovation, Industry, Science and Research Kim Carr has already warned against "pitting states against each other", and Raytheon Australia says that state rivalry for Defence work is getting "hysterical". A national approach, with nodes in each state and territory, will be the most productive solution. All of the states have exciting things happening – we don't want to mess that up. Australia's getting a space agency—now what?